Norwegian Cruise Line knows how to delight all cruise lovers! Recently the company introduced its new creation intending to conquer Alaska in 2018. Now it’s time for theCaribbean to get ready, because Norwegian Bliss is going to become a Queen of this region!
. She will depart from Seattle starting from June 2018. 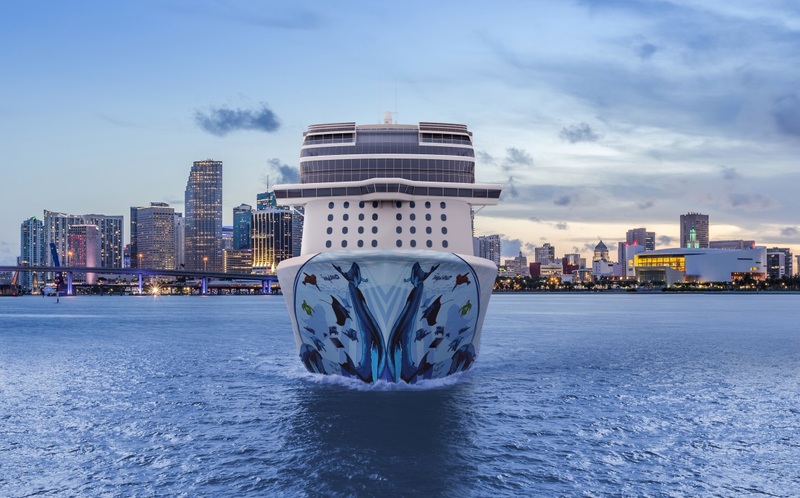 Then Norwegian Bliss will be homeported in Miami to open us all beauties of the Eastern Caribbean. She will spend here winter taking her guests on 7-night cruises every Saturday beginning on 17 November 2018. Welcoming St. Thomas, warm Tortola, alluring Nassau – there’s nothing like these ports of call to make your winter bright and unforgettable. Follow the news on CruiseBe and Norwegian Cruise Line’s official website! There are still many surprises ahead!